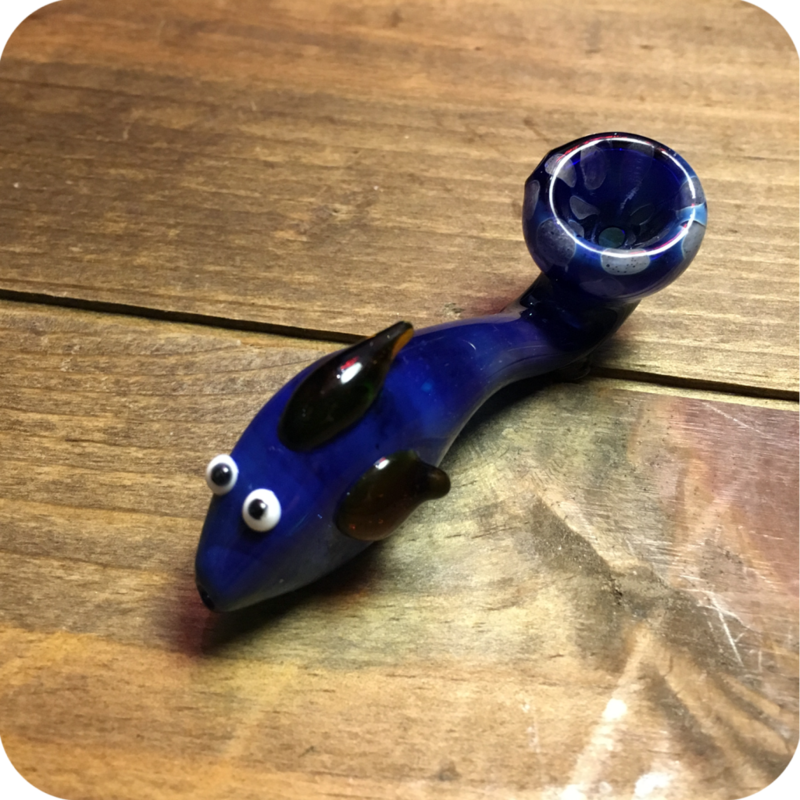 The Blue Fish Spoon Pipe is the cutest little fish bowl you have ever seen. 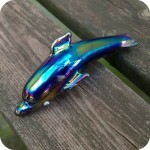 It is only about three inches long in total, so it works great as a travel piece! It features a very familiar fish, a generous sized bowl, and a carburetor on the side. To use, simply pack the bowl with your favorite legal herbs or smoking tobacco. Place one finger over the carburetor, and light the bowl with your other hand. Slowly inhale, and when your ready to clear the smoke lift your finger off the carburetor and inhale one last time. It is as easy as that! This pipe pairs quite nicely with some I-Tal Hempwick. Hempwick, for those unaware, is an all natural healthy alternative to lightly up directly with a butane lighter. To use, light the end of your hempwick with your lighter and light your Blue Fish Spoon Pipe with the end of your wick. You will notice an immediate improvement in taste, and your lungs will thank you for sparing them the nasty toxins included in butane. 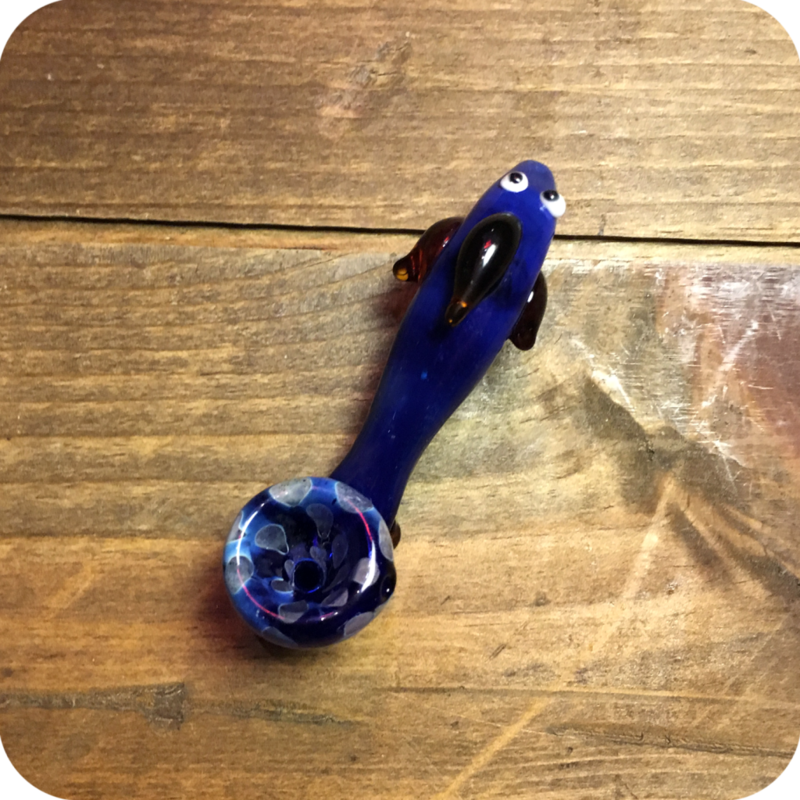 Thanks to it’s small size and simple shape, this pipe is easily cleaned and maintained with any standard pipe cleaner. Just run your pipe cleaner throughout either end of the pipe to get rid of unwanted build up. Take it a step further and grab some Formula 420 cleaner while your here. Formula 420 cleaner is a solution trusted by smokers all over the world for anything glass. Finally, do not forget to swing by either one of our three Brooklyn store locations to see what else we have to offer! We are located at 12 Wilson Ave in Bushwick, 518 Grand Street and 377 Metropolitan Ave in Williamsburg! Tags: animal pipe, Blue Fish Spoon Pipe, Character Pipes, glass animal pipe, sunflower glass, Sunflower Glass Co, sunflower pipes.